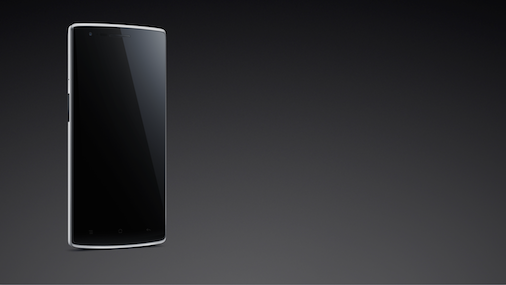 In what has possibly been the most hyped-up launch in recent history, OnePlus has finally unveiled their new One. This is a smartphone that shares a great deal with the Oppo Find 7a, and it has been announced that Oppo is the company that will produce this phone. For those that haven't followed this company, OnePlus is a start-up that was founded last year in December by Pete Lau, former VP at Oppo. To start off, this is a phone with a 5.5" 1080p display from JDI (Japan Display Inc.), and ships with a 2.5 GHz Snapdragon 801, which clearly shows the high-end aspirations for this phone. The rest of the specs can be seen below. As shown above, the Find 7a and the OnePlus One are extremely similar phones outside of a few key areas, with a thinner and somewhat lighter build on the OnePlus One, along with a larger battery, deletion of the microSD slot and a unibody construction that prevents easily swapping batteries. OnePlus has also detailed their curved back design, which goes from 4.6mm on the edge to 8.9mm in the middle, which means that the design is curved similarly to the One (M8) and other HTC designs, although without the associated pyramidal internal stack that would increase volumetric efficiency for such a design. OnePlus is also pushing their dual stereo speakers, both of which are placed on the bottom. I'm not too sure what the point of this is though, as the speaker separation is almost nothing, although peak volume can increase through constructive interference. Going through the marketing materials, there's quite a bit that OnePlus is advertising that isn't necessarily a point of differentiation. Things like Touch On Lens (TOL) and Content-Adaptive Backlight Control (CABC) are commonly used throughout the industry, and TOL has already been supplanted by in-cell touch technologies used by OEMs such as LG and Apple. CABC is a power-saving technique often seen in most LCD-screened phones, and is often identified as dynamic contrast due to some implementations having a visible flicker effect from image to image. The LTPS display is also nothing new, as most LCDs use such technology in order to have manageable levels of power consumption at the high pixel densities that most mobile displays have.The camera is also identical to the one found in the Oppo Find 7a, with no clear differentiation. What is interesting is the UI, which runs a custom version of CyanogenMod 11. It seems to be a new skin over AOSP, and represents the first departure that I've seen by CyanogenMod from AOSP-UI in a long time. An example of the lock screen and theming application can be seen below. The phone also has a capacitive menu button with no multitasking button, so it'll be interesting to see if this will pass Android CTS as most of the major OEMs seem to have moved to home/back/multitasking configurations despite previously adhering to home/back/menu. What is interesting is the pricing. 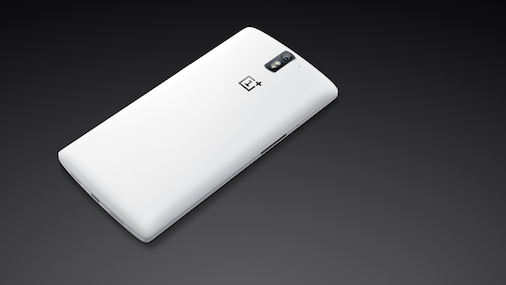 The phone will come in two colors, silk white and sandstone black. There will also be custom backplates, with wood, kevlar, and denim planned. It seems that based upon the launch presentation that this is a concession done in place of creating a metal unibody design, as issues with RF performance were explicitly referenced. In the US, the 16GB variant will be 299 USD, and the 64GB variant will be 349 USD. At launch, an invite system is in place to handle demand, although it seems that general availability will happen in Q2 2014. Prices for the supported regions can be seen in the photos below.